In this episode Mary Jane Brigger; Business founder Professional speaker and writer, Spiritual healer and Reiki master shares 7 Healing Steps to Discovering Your Authentic Self and Life Purpose Within your Business! After the tip, we go backstage where Mary Jane tells us, How a chronic illness changed her career path, Shares her favorite quote, Demonstrates how to calm our Monkey Minds, and more! 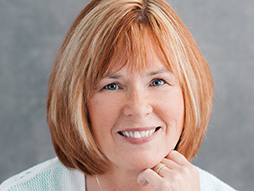 Hi, I’m MaryJane Brigger, and I am owner and president of Soul Care Experience. I’m here today to help you to connect, reflect, and renew yourself with the seven healing steps of discovering your authentic self and life purpose within your business. Healing step number one: connect. Take a few minutes every day to go within. This can be a simple meditation or this can be daydreaming over your morning cup of coffee or on your morning commute. Number two: gratitude. Think of five to 10 things that you’re grateful for in your life and within your business. Number three: forgiveness. Forgive yourself for the many times you were not true to yourself or to others. Number four: compassion. Hold compassion for yourself and the many times, the many difficult obstacles, you had to overcome to become the amazing person you are today. Number five: celebrate. Celebrate you. Connect to your true authentic self, to that powerful, successful person you are today. Number six: visualize the life that you wish to lead in one to three years. This is when your life purpose emerges. Be very specific with this. Then feel it, be it, and see it happening to you now. Number seven: the blessing. Ask your highest power or your greatest source, with gratitude, to bless this visualization and see it manifesting in your life now. You can follow these healing steps in the order that they were given or, and I highly recommend this method, by taking one healing step at a time and focusing on it every day. This will create a more profound experience in connecting with your authentic self and life purpose within your business. Mary Jane is founder and director of Soul Care Experience, where Hearts Are Healed and Souls Awakened through inner healing experiences and spiritual retreats to calm the mind, body and soul.